Unexplained Wealth Orders (UWO’s) came into force on 31 January 2018 as part of the Criminal Finances Act 2017, which is an amendment to the Proceeds of Crime Act 2002 (POCA). They grant UK law enforcement agencies new civil powers to investigate and seize assets that are believed to have been gained through criminal activity such as money laundering, fraud and organised crime. What is an Unexplained Wealth Order? If granted a UWO will require the respondent to explain and account for the origins of their assets, especially where their assets seem to be inconsistent with their income levels. Although UWO’s can be used for the investigation and recovery of any asset, it is believed that they will be used particularly to examine the origins of property. One of the key features of UWO’s is that they are a civil, rather than criminal action. Therefore if the asset is deemed to be recoverable this will be subject to a civil recovery order from the High Court, meaning that the owner may lose possession of the asset. However in most cases it is assumed that a criminal investigation will follow, or be brought in collaboration with the civil UWO proceedings. Another key attribute of UWO’s is that the burden of proof is reversed, meaning it is up to the respondent to prove that the asset has been obtained legally, rather than the enforcement agency having to prove that the asset is the result of a criminal action. What are the criteria for granting an Unexplained Wealth Order? 1.There must be a reasonable belief that the respondent owns the asset. 2. The asset is worth more than £50,000. 3.The respondent must be either a non-EEA Politically Exposed Person (PEP), or there are reasonable grounds to suspect that they, or a person who is ‘connected’ with them, is or has been involved in a serious crime. 4. It can be shown that the respondent’s personal wealth is incompatible with their income, or that their legitimate income is insufficient to enable the respondent to own the asset in question. Who can apply for an Unexplained Wealth Order? However in Scotland it is only Scottish Ministers, acting through the Crown Office, who can apply for a UWO to be granted by the Court of Session in Scotland. What are the consequences of an Unexplained Wealth Order for the respondent? As we have already mentioned, when presented with a UWO the burden of proof rests with the respondent to explain the nature and extent of their interest in the relevant asset and the legal basis upon which it was obtained. · The asset will be presumed to be recoverable and recovery proceedings will be instigated. · A criminal investigation may be launched into the nature of the ownership of the asset, or if the respondent is believed to have knowing made a false or misleading statement a criminal conviction could be brought with a corresponding sentence of two years imprisonment, a fine, or both. · An Interim Freezing Order can be brought if the court considers it appropriate to avoid the risk of the respondent disposing of the asset before complying with the terms of the order. · If the UWO or Interim Freezing Order applies to any asset believed to be outside of the UK, the Secretary of State can request that the government of the receiving country prevent any person dealing with the concerned asset. 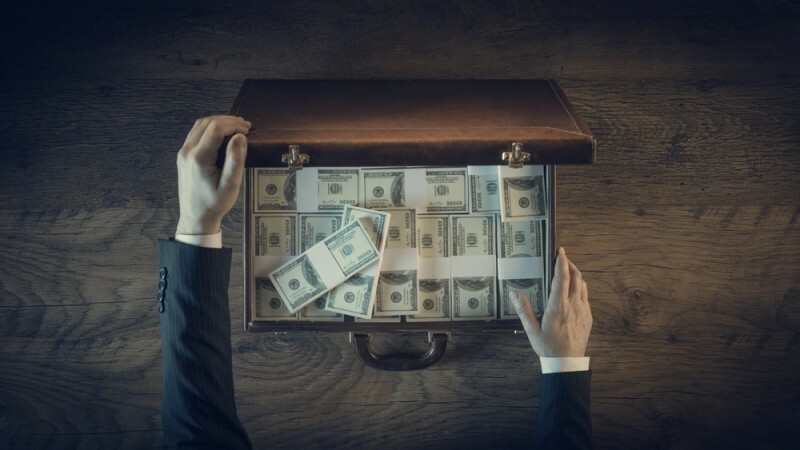 What are the benefits of Unexplained Wealth Orders? UWO’s bring in higher levels of powers for enforcement agencies to act against those suspected of money laundering, fraud or other serious crimes. Previously a challenging burden of proof was required to investigate and seize suspected proceeds of crime. However it is believed that the ratification of UWO’s will both streamline the confiscation of assets and act to as a deterrent for future crimes. Are there any concerns regarding Unexplained Wealth Orders? Although the instigation of UWO’s has been welcomed by many in the law enforcement community there are some concerns regarding the specifics of the legislation. · The wide scope of the criteria – much of the wording within the UWO application is based on ‘reasonable’ proof or grounds for believing that an asset has been obtained illegally. This is much less potent than the ‘beyond reasonable doubt’ basis that is used in criminal proceedings and so leaves the orders much more open to interpretation. Also the criterion that a respondent must only be ‘connected’ with a person suspected of being involved in a serious crime, results in UWO’s potentially having a very broad scope. · Civil rather than criminal – through UWO’s assets can be seized without any criminal conviction being brought. This could rest in a possible widening of civil law in the UK, to deal with specifically criminal conduct. · Reversal of the burden of proof – this could be affected by Article 6 of the Human Rights Act which protects a person’s right to a fair trial. If you need any further help and advice regarding Unexplained Wealth Orders contact the partner-lead expert team at BTG Advisory. Our highly knowledgeable staff have a wealth of experience dealing with the prosecution, defence and investigations into all aspect of financial and white collar crime.